Now that there has been an enormously successful rejoicing of the 60-year reign of Elizabeth II as Queen of the United Kingdom and her 15 other realms, it is time to tackle the question upon which there has been much speculation: will her successor also succeed to the headship of the 54-nation Commonwealth? 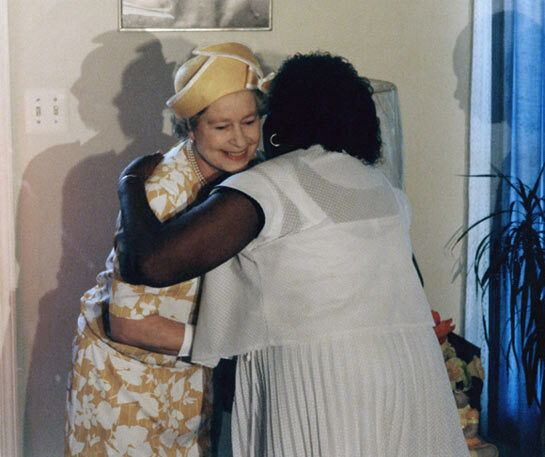 The outpouring of affection from millions of British people, who sought every opportunity to attend the events celebrating her Diamond Jubilee, and the presence at those events of many heads of government and other senior representatives from other Commonwealth realms, underscore the deep satisfaction with, and admiration, for her reign. In Britain, the acceptance of the Royal family has been re-validated, and recognition given in abundance to the important role it plays there. The monarchy will remain for some time to come. Much of this is due to Queen Elizabeth herself. But, there has been evident satisfaction too with the performance by the Queen’s children, particularly Prince Charles, and her grandsons, William and Harry. Charles has overcome reservations held in some quarters, and his sons have captured the imagination and affection of the people of many Commonwealth countries. No useful purpose is served by not also putting to rest questions raised about the future headship of the Commonwealth. As Elizabeth seamlessly assumed the headship of the Commonwealth from her father King George VI on his passing in 1952, so should her successor adopt it from her. The headship of the Commonwealth came about on the creation of the modern Commonwealth in 1949 when India chose to become a Republic and to remain a member of the Commonwealth. It was the suggestion of India’s Prime Minister, Jawaharlal Nehru that India’s association with the Commonwealth would be based on acceptance by India of the status of the King as the symbol of the free association of Commonwealth countries. Thus, in their 1949 London Declaration – the founding document of the modern Commonwealth -- heads of government of countries that included India, Pakistan and Ceylon (later Sri Lanka), declared “acceptance of The King as the symbol of the free association of its independent member nations” and “as such the Head of the Commonwealth”. It is on that basis that every country has joined the Commonwealth since 1949. Like her father before her, the Queen is an ardent champion of the Commonwealth and of the Commonwealth’s diverse peoples. She has no role in governance of the Commonwealth as a whole, even though she has a constitutional role in her 15 realms for as long as they choose to retain her. She has steadfastly never mixed the two duties. Her principal function for the Commonwealth of independent nations is to symbolize their voluntary association. In this, the Commonwealth could have no better representative. On her 21st birthday in 1947, the then Princess Elizabeth gave an historic public undertaking: “I declare before you all that my whole life, whether it be long or short, shall be devoted to your service and the service of the Commonwealth to which we all belong.” She has never faltered in delivering on that commitment. Her children and grandchildren have also demonstrated their inherited commitment to the Commonwealth and Commonwealth causes. Without being intrusive in the work of governments, the Prince’s Trust, set up by Prince Charles, and the William and Harry Foundation have reached out to help worthy causes in Commonwealth countries. They are, therefore, trained and prepared for Commonwealth duty. Significantly, even while the Queen plays no part in the governance of the Commonwealth as a whole, the costs associated with her headship of the Commonwealth are not met by Commonwealth governments. The Commonwealth nations as a group benefit from her stature and standing, given voluntarily and plentifully, as it will be from her successor. To change from this system that has worked flawlessly for the Commonwealth for 63 years, heads of government would have to agree on a new method for selecting the Head of the Commonwealth. That task would be as problematic as it is unnecessary. Even if agreement could be reached on some distinguished Commonwealth citizen to take over the headship, issues such as who would finance the office, and its salary, travel and entertainment expenses would prove to be a basic difficulty, as would the tenure of the office, and issues of geographical representation. The notion that the post could be rotated among heads of Commonwealth countries is also fraught with severe challenges. What happens if domestic conditions demand that the head of state remain at home when a Commonwealth event requires his or her presence? And would the Head’s embroilment in local politics compromise the Commonwealth as a whole? In any event, on the basis of rotation, the present Queen (or her successors) would be entitled to 16 terms as Head of state of 16 of the 54 Commonwealth countries. Beyond all this remains the huge challenge of changing the binding basis by which countries have joined the Commonwealth since 1949 -- acceptance of the crown as the symbol of their voluntary association and “as such” Head of the Commonwealth. The Commonwealth makes decisions by consensus. If a number of governments argue for the retention of the present system there would be no change. The present system of the headship of the Commonwealth works for all. It isn’t broken; there’s no need to fix it.